Lalit Narayan Mithila University LNMU Result for all UG and PG courses will be announced soon. Recently LNMU has announced LLB Part 3 exam result. Candidates can check it from below. For the rest of UG/PG courses, LNMU result will be available soon. All students are advised to stay in touch with this page for more updates of LNMU Result 2019. 1.8 How to check LNMU Result? University is spread in an area of 201 acres equipped with all the modern facilities and services for both students and faculty members. University has 43 constituent colleges, 8 faculties, 21 PG departments and 24 affiliated colleges including various degree colleges, dentistry, and B.Ed. colleges. Since its inception, university is offering various graduate, postgraduate and research programs in the field of Arts, Science, Law, Commerce, Education, Technology etc. In this article, you are going to get detailed information about Lalit Narayan Mithila University results and examinations conducted at the university under the annual curriculum and semester system. Admissions in LN Mithila University are done on the basis of entrance tests and merit in the qualifying exams. The application process for admission starts in the month of April. Interested candidates have to submit an application form which is made available on the university website. Admission into Ph.D. programs is done through a Pre-Ph.D Registration Test (PRT) which his conducted in the month of October on an annual basis. All the undergraduate programs offered at the university are carried out under an annual system while all the PG level programs are offered under the recently adopted Choice Based Credit System (CBCS) in semester system. The academic session for PG programs consist of two semesters in each year. I and III semester duration is from July to December and II and IV semester from January to June. The controller of examination updates all the information regarding the exam and results such as exam schedule, exam center, and date of released of results on its official portal. 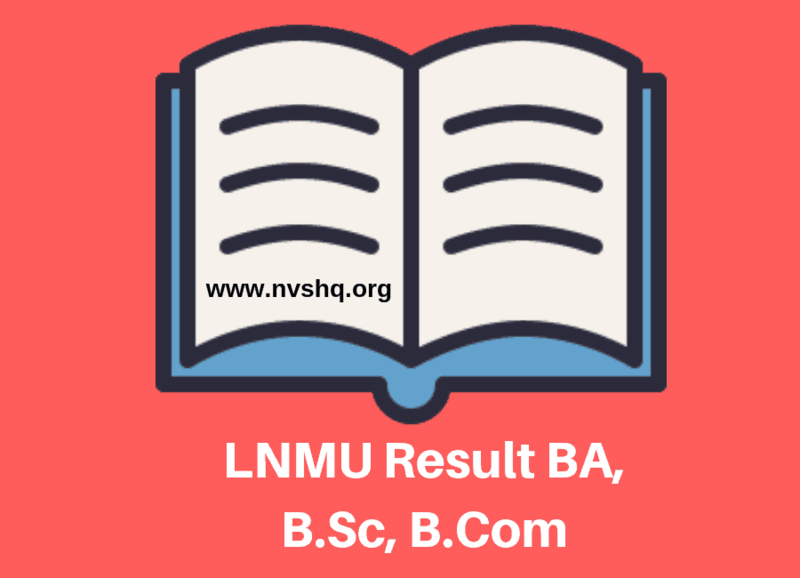 For more information, related to LNM University examinations and semester results you have to go through the complete article. The end semester examinations of PG programs for I and III semesters are conducted in November-December and for II and IV in the May-June. On the other hand, the annual exams of Undergraduate programs (except B.Tech and few other courses) are conducted in the month of May-June-July. Students enrolled under the annual academic programs have to fill the exam registration forms before the commencement of the annual exams. Examination forms are published on the university website and students have to register from their only. University issue admit cards few days before the university exams and notify students. Students are then required to download and print the admit card as it is compulsory to carry it to the examination center. Admit carry all the information regarding the exam such as subjects-wise exam dates, center name, and other important details. Students without the valid hall ticket are not permitted to write the exam. The result for programs under the annual curriculum is declared by the month of July. PG result for I & III semesters is announced in December/January and for II & IV semesters in the month of June/July. All the results either entrance exam result or university examination results are declared online. No other medium is used to announce the result. Students can check their result by logging into the university website. All the results of Undergraduate programs under the annual system are released college-wise. The result sheet consists the roll numbers of the students who have passed the exam, promoted roll numbers and pending roll numbers. The result of PG programs is also declared college wise and include the roll number of the students which are distinguished on the basis of the divisions. After the declaration of the result, university published the marks details of the students enrolled in the university. Once the result is declared, students can also apply for revaluation of answer sheets. For this, students are advised to apply online within the stipulated time. The revaluation result is released as a PDF sheet that includes the name of the students who have applied for revaluation along with the college code, college name, roll no., registration number, subject, old marks, and scrutiny marks. How to check LNMU Result? Login to the university website first. Here is the website-www.lnmu.ac.in. Click on the “Result” tab at top of the homepage of the website. The result sheet will appear on the screen. You can save the result for further references. You can also follow the aforementioned procedure to check the detailed marks. In case of any issue or problem related to university results, students must immediately contact the concerned university officials.